The Scan Man highly recommends the new exhibit, Marking Their Mark Stories Through Signatures, at the National Archives in Washington DC. A signature can be as routine as a mark on a form or as extraordinary as a stroke of the pen that changes the course of history. For example, the 56 men who signed the Declaration of Independence simultaneously committed the brave act of treason against King George III and created a new nation. Well-known signatures are found throughout the records of the National Archives. Equally important are the multitude of marks by people unknown to history. The documents signed by these individuals represent fascinating stories to be discovered. “Making Their Mark: Stories Through Signatures” features original signatures from our nationwide holdings. 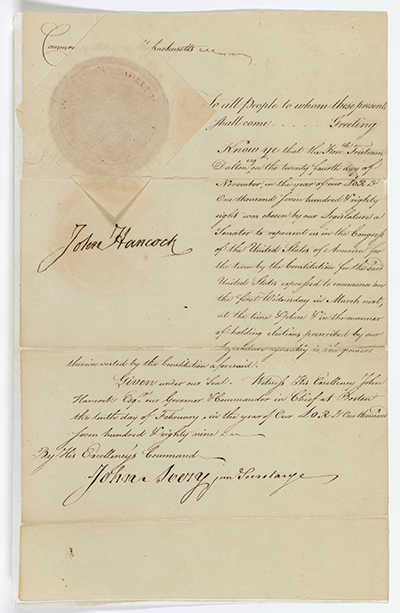 From developing a signature style to signing groundbreaking policy into law, they illustrate the many ways people have “made their mark” on history.Legislation allowing electronic signatures to formalize a contract, or using the autopen to authenticate a law is leading us further away from personalized marks, symbolized by John Hancock’s famous and distinctive signature.